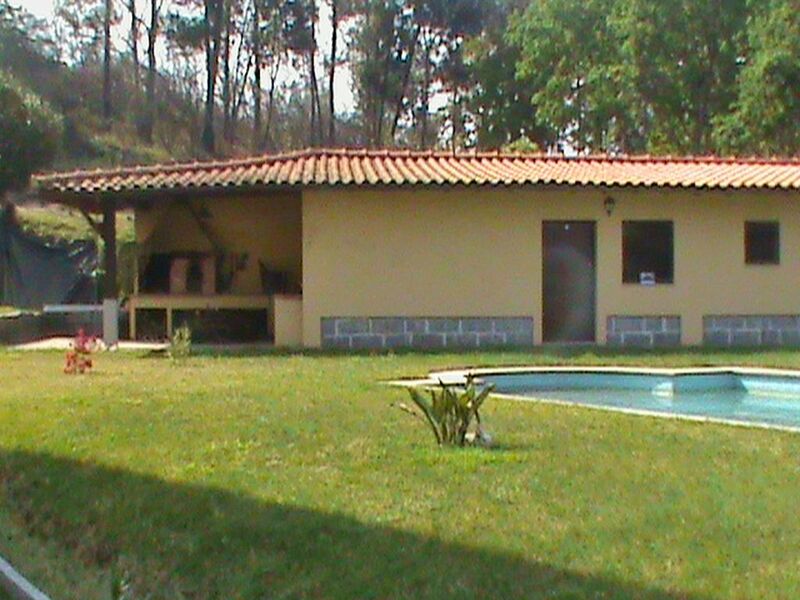 Vila Verde 15 km from Braga: Modern, comfortable country house Arco do Jose, built in 1982, renovated in 2002. In a quiet, sunny position on top of a hill, 35 km from the sea, 35 km from the beach, 35 km from the river, in the woods. Private: swimming pool (10 x 5 m, 01.05.-30.09.). Children's playground. In the house: steam room, billiard table, playroom, central heating system. Parking at the house. Shop 5 km, grocery 3 km, supermarket 5 km, restaurant 8 km, cafe 3 km, bus stop 3 km, railway station 30 km, sandy beach 70 km, rocky beach 35 km. Golf course (18 hole) 15 km. Nearby attractions: Porto 85 km, Braga 30 km, Guimaraes 50 km, Espana (Vigo) 100 km, Vila Verde 15 km.